have one common enemy THIS Government. Groups of people in society are turning and fighting each other fed by the government and media rhetoric of Workshy, Scrounger, etc. We the people should not be fighting each other but uniting as one to fight back against the destruction of the Welfare State, of which the NHS is part of. Every day I hear another horror story of one description or another, someone dying because their mental health can take no more so they jump under a train or bus, someone who has lost their home because they cannot pay the bedroom tax, someone who needs help with a food bank because they have nothing left after bills to feed their families, or someone who needs help with ESA or DLA, or someone who cannot find a job and is being bullied to despair by the jobcentre when NO jobs are being created, turning nationals against immigrants. This has to stop immediately, doesn’t matter what your politics are, or what group in society you are labelled ie; disabled, pensioner, working on low-income, young person etc we have to stop this national disgrace and stain on our country. Around the world we have always been seen as fair country and our reputation was built upon that, yet we are being denied access to treatments when ill, the pathway to care killing our elderly, and access to justice denied to those working and non working. forget the disagreements you may all have and get this dictatorship out of office before it too late. If you can’t go on a protest write and lobby your MP’s, we can all do something regardless of our personal circumstances. Our NHS being ripped apart. Make no mistake on this they are privatising this. Many of the MP’s and the Lords have vested interests in PRIVATE HEALTH CARE COMPANIES, and so do the CCG’S please, this is your NHS, every man, woman and child uses it. We all use a GP £25 a visit is not far away for unwaged and £150 for the waged recently being reported. How much do you CARE about the NHS? If you have a pre existing medical condition, your insurance will be loaded with exemptions, or you may not get health insurance at all. If you have been genetically tested many will not get insurance, if these companies think you are high risk of developing the illness etc you have been tested for. It is an abomination to sit by and let this happen to leaving future generations in squalor & despair not seen since Victorian England, without hope of peace around the world, without jobs, without a future of the workhouse scenario, which I am sure they will start re- building soon. This government has become part of the USA style political scenario where you will need insurance for everything. we speak out against it. That is the truth ! Time and again people have said to us, “oh we wont sign that or get involved as it does not affect us, or believe the total propaganda rubbish the media constantly publish. The government have done their job well, but people need to challenge what they read and see behind these lies, you are being hoodwinked into compliance. Someone who is working long hours and has no rights and cannot take their company to court as they would have to pay £1200 for it and cannot afford to get justice. ITS ALL ABOUT OUR HUMAN RIGHTS, THIS GOVERNMENT WANT TO AND ARE TAKING THEM FROM YOU…. YOU ARE NOT HUMAN TO THEM JUST STOCK LIKE A COMMODITY ON STOCK MARKET THEY BUY AND SELL DAILY. We implore you all to please stop attacking and arguing with each other, to please put your differences aside whatever they may be, and fight the one common enemy, and that is this GOVERNMENT. We know that old feuds go back years, in some cases, and some views are vastly different, but we all care about this country I hope enough to rebuild our communities and that is a good place to start with that common purpose. 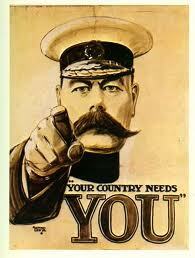 Show you care about your country and lets show this government we have had enough and UNITE. My friends WE ARE RUNNING OUT OF TIME FAST, it is now time to act as one, SCARED, I KNOW I AM ! THIS ISN’T A SCAREMNONGERING BLOG THIS IS REALITY OF MANY DAILY IT IS TIME TO MAKE IT KNOWN ……….ENOUGH IS ENOUGH, IN A NON VIOLENT MANNER AND KICK THIS LOT OUT. For those who have power and ability to act, unions and others help us unite this country.